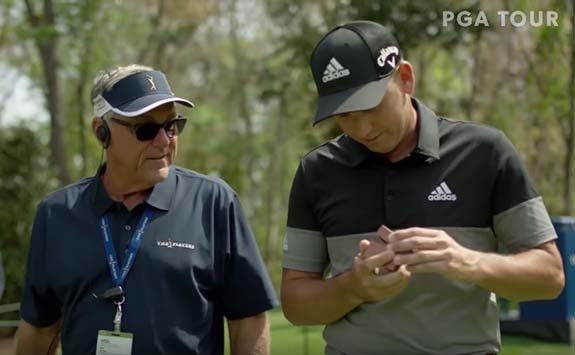 Bob Baxley conspired with Garcia, Fonseca and PGA Tour communications officials to stage a wondrous surprise during the tournament’s practice round. 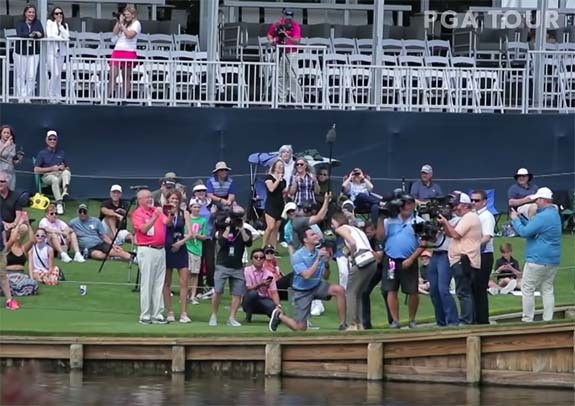 It’s been 11 years since the Spanish golfer won The Players Championship, and he would eventually place 22nd in the 2019 tournament, but what he did for the young couple was definitely a hole in one. “Can I look at it?” Garcia asked. As they approached the green, Garcia and Baxley took a slight detour to meet Baxley’s family, who were all standing behind a rope barrier. 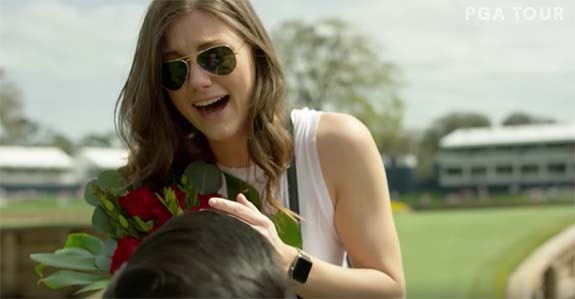 At that point, Garcia picked young Emma out of the crowd and invited her onto the course. Emma’s boyfriend can be seen smiling in the background as his girlfriend scoots under the barrier. “Thank you, sir. I really appreciate the help,” Fonseca said. Garcia fist-bumped Emma’s dad. A job well done. Thankfully, Emma said yes. It’s rumored that Fonseca would have plunged head first into the pond had she said no.